Abstract: This article demonstrates how to use Script reference profiler to improve performance of an ASP.NET AJAX page. This article demonstrates how to use script reference profiler to improve performance of an ASP.NET AJAX page. You can download the binary files (dll’s) of script reference profiler from here. Note: The Script Reference Profiler enables you to combine scripts in order to reduce the number of downloaded files. You should be using ASP.NET 3.5 AJAX SP1 in order to use the Script reference Profiler. 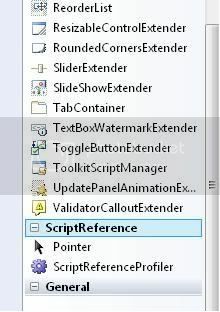 After downloading this file on your computer > Open Visual Studio 2008/2010 > Go to the Toolbox > Right Click > click on choose items and select the .dll you have downloaded. Now you can see the script reference profiler added to the toolbox. We are going to use Firefox and Firebug to monitor and see how performance improves on page refresh. In this article, we are going to use one calendar extender and one filtered textbox extender to show the performance improvement using script reference profiler. As seen in the picture, we can see there are 15 requests made for the page, 98.3KB of resources downloaded and the total time required was 4.3s. Now browse this page in Firefox and refresh it and see the performance improvement using Firebug. In the picture shown below, you can see that the number of requests and the time required has reduced. As you can see, there is a performance improvement in this simple page after using the Script reference profiler. Very nice article and good summary explain. I will try this solution with my next project. I've searched a lot but your post was the easiest to understand and implement.